﻿ PowerPup: PuppyLinux for PPC Macs! 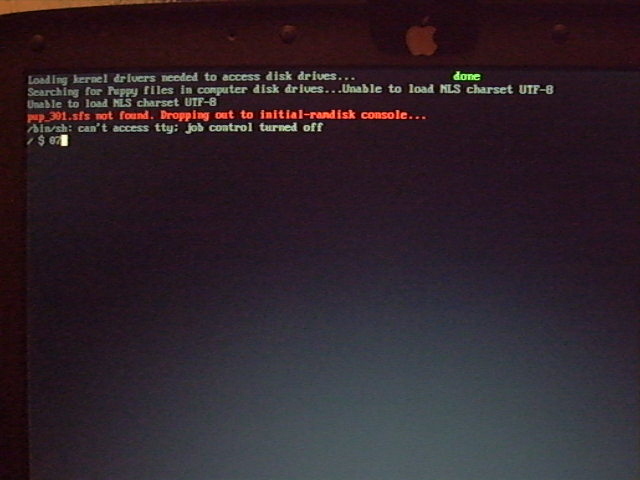 and is able to save changes without having to install it onto or modify your hard drive. And while their are a few live CDs out there for the PPC macs, none of them have the Puppy Linux philosophy. As a way to better understand Linux, I have decided to try to fill this gap between Live CDs and PPC macs. The goal of this project is to make a Lightweight Linux System that works like Puppy, runs completely in ram and can save changes to a hard drive or usb stick, all in a PPC environment. Because there are plenty of good G3 macs and such out there, but Mac OS 9 is too old, and sometimes Mac OS X is slow. Puppy is ideal for these kind of computers. Being a puplet PowerPup will not be a PPC look-a-like of Puppy Linux. There will be some customizations, I hope to make it look more like X-Pup and MacPup. Because I'll be doing this in my spare time I do not know when I'll have a usable version released. You can follow my progress here and on the puppylinux forums. And all the people who've volunteered in these projects. This is currently under development and is not recommended for daily use. Update March 31st, 2009: I have gotten PowerPup to detect pup_301.sfs on HD and CD. Still need to get it to propoerly mount HFSPlus. I am using my PowerMac G4 (AGP graphics) running Slackintosh 12.1 (An unofficial port of Slackware to PPC.) for compiling and developing PowerPup. Testing Hardware is the PowerMac G4 and my PowerBook G3 (Lombard.) I have also tested it on an iMac. PowerPup will basically work on any NewWorld Mac. 2. Build the initrd.gz with recompiled PPC programs (eg: busybox, etc.) Status: Done. 3. Test Kernel and initrd.gz on a CD. Status: Done. 5. Install slackintosh on separate partition with desired packages for live CD. Status: in progress. 6. create SFS file from new Slackintosh partition. 7. Rebuild live CD and Test. Donations towards the PowerPup project will not guarantee the development of a stable version. Donations will go towards funding the project, (computer hardware, reference books, etc.) But I can only go as far as my knowledge and experience on Linux. Again, if you have the time and knowledge (and/or equipment) to help on the development, I would appreciate it. You can contact me by email.